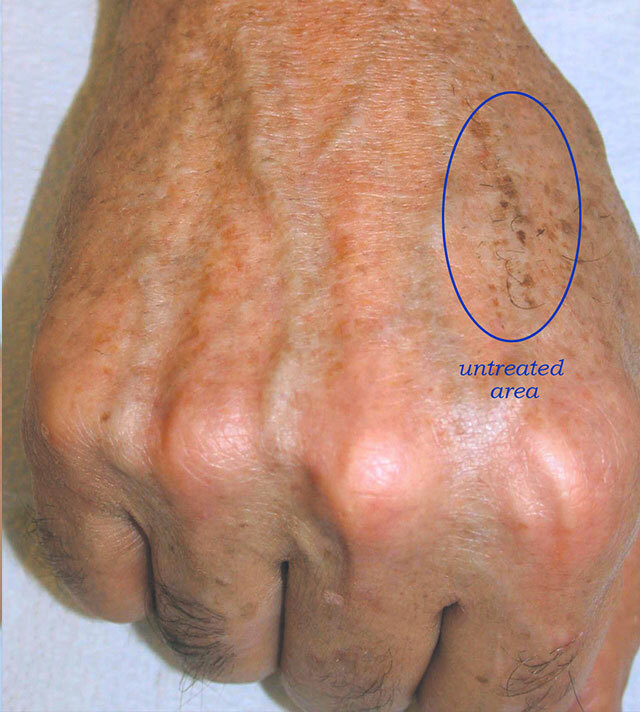 Probably one of the more distressing skin problems that people face is skin discoloration. Most frequently a result of sun exposure or hormones, these brown splotches and darkened areas can be an ongoing problem for someone of any age. What can be done to restore the skin to it's natural color and prevent this hyper-pigmentation from coming back? First, it is essential that you understand why you have brown spots and patches in the first place. Skin gets it's color, whether light or dark, from melanin. Melanin is a pigment that your body produces. It determines the color of your skin, hair and eyes. 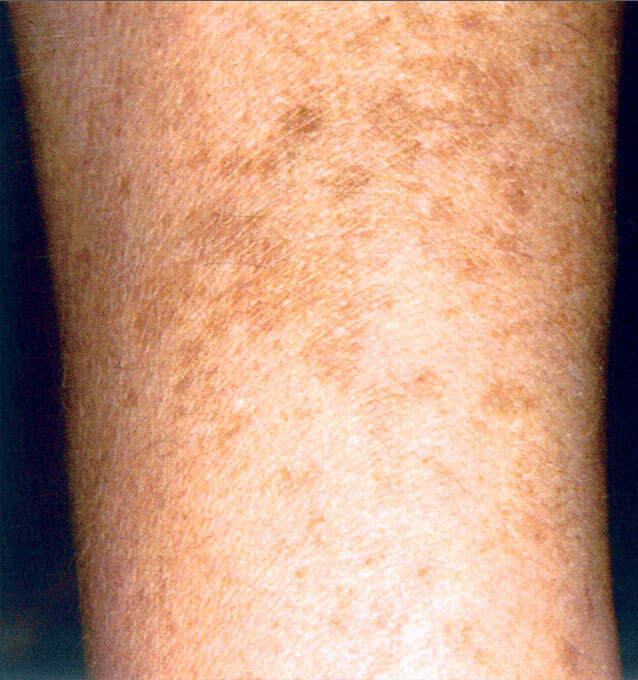 An over-production of melanin shows up as brown patches and spots. There are typically three reasons your skin becomes overly-pigmented. One of the primary functions of melanin production in your skin is to protect you from UV rays from the sun. A "tan" is the prime example of your body's melanin response to the sun. When the skin is assaulted by repeated exposure to the sun, you experience sun damage in a variety of ways and one of those is brownspots and hyper-pigmentation resulting from an over-production of melanin. This is the body's way of saying "too much"! Once the cycle of pigment over-production has started, it is difficult to stop it and usually medical intervention is required. The second most frequent cause of hyper-pigmentation is hormone changes. This may be a result of birth control pills, pregnancy or the various stages of menopause. Hormone shifts trigger the melanin cells to go into over-drive. This can happen even if you are not a sun worshipper. If you have hormone related pigmentation problems, you still need to be careful of sun exposure since it will make it worse. Your body's response to injury is inflammation. Often you don't even see it as much of it can occur underneath the epidermis. 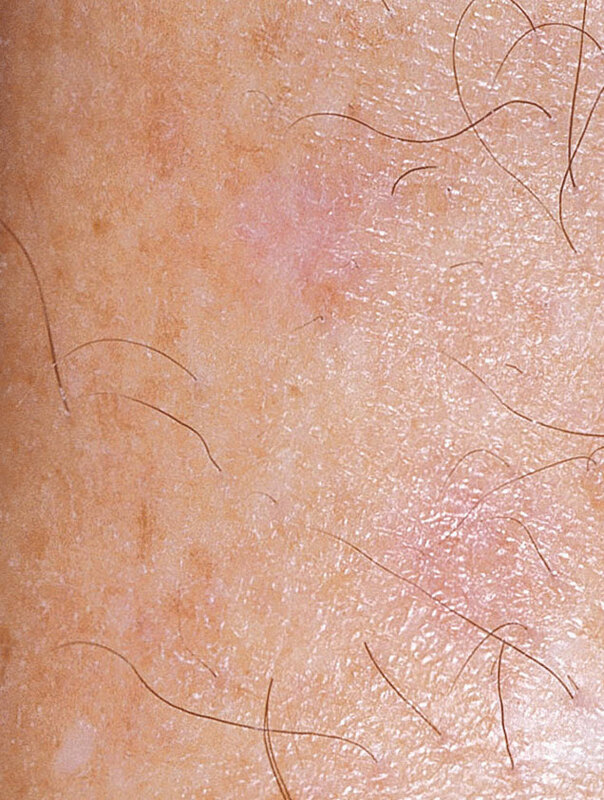 This inflammation triggers melanin production and the result is a brown patch or stripes. It is a cosmetic treatment that uses gentle pulses of intense, optimized light to treat undesirable pigment and vessels which can occur as a result of aging and lifestyle choices. You can expect to see a decrease in the appearance of skin pigment and vessels for a more even skin tone. Photorejuvenation uses an optimized light device to deliver energy into your skin, targeting vascular and pigmented lesions, which slowly disappear as your body’s natural healing process progresses. The photorejuvenation procedure can be performed in as little as 30 minutes, depending on the size of the treatment area. Most people feel little to no discomfort during the procedure. What can I expect following the treatment? Safe, comfortable and fast! Our photorejuvenation process provides one of the most skin-safe, comfortable and effective photofacials available, with little to no downtime. Photorejuvenation appointments are quick and you can return to work or other activities'looking and feeling fine.